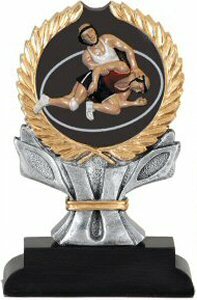 Elegant beautifully painted full color wrestling theme resin. Makes a perfect participation award. Three lines of engraving on a gold plate are included to make this award special.